The leather briefcases in the past were generally used to carry the legal and confidential documents but today they are more a style statement. The leather briefcases which are now available today are very functional and adding to them is their stylish looks. Today you could not only carry the papers in these briefcases but also carry pens, files, business cards, laptops, disks, and even lunch. So we see that the leather briefcase have evolved significantly. Even the styles and features are more versatile. Today they feature multi pockets and compartments. They save you from much embarrassment in front of others when you search for documents and the only things popping up are useless things. But with these multi pockets you could organize your space and also create an impression of an organized man. They are also popular with the names as the messenger bags and even saddle bags. Even the straps which come with modern briefcase are padded ones. So even if your briefcase is heavy you could carry them without hurting your shoulder. So, it is important that you choose them very wisely. Invest your time and money judiciously in zeroing down on a quality leather briefcase. The very first thing is that it should be water resistant so you could even carry them when there are rains or there is snowfall. A water resistant briefcase would also keep the gadgets safe. Looking for metal feet is also important. This very feature would allow you to keep the briefcase in any position and also protect the electronic gadgets. Sometimes you might trip over. So if your briefcase features metal feet, the impact of the fall would not be felt by the gadgets inside and hence they stay safe and protected. Then we also have a hard version which is preferred when you want to extensively carry electronics. The hard version also comes with a lock. So you could now keep all your documents more secured. Style also matters a lot in this fashion conscious world. The style should complement the clothing. You could not pick up a saddle bag or a backpack when you wear a suit. Similarly a casual and chic look would only be complete if you buy a saddle bag. Though black is the most preferred color but it looks more professional and so the designers have introduced various chic colors and patterns like floral prints, wild animal prints etc. So as already said that mix and match as per the occasion. 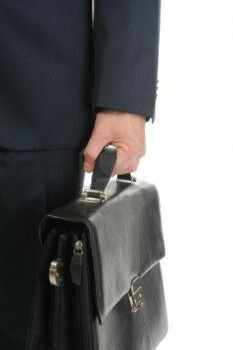 A good briefcase would end the need of carrying another bag for carrying different stuff. So pick the one which serves both the functional purpose and they are stylish too.